Amazing opportunity in Fronterra Village. 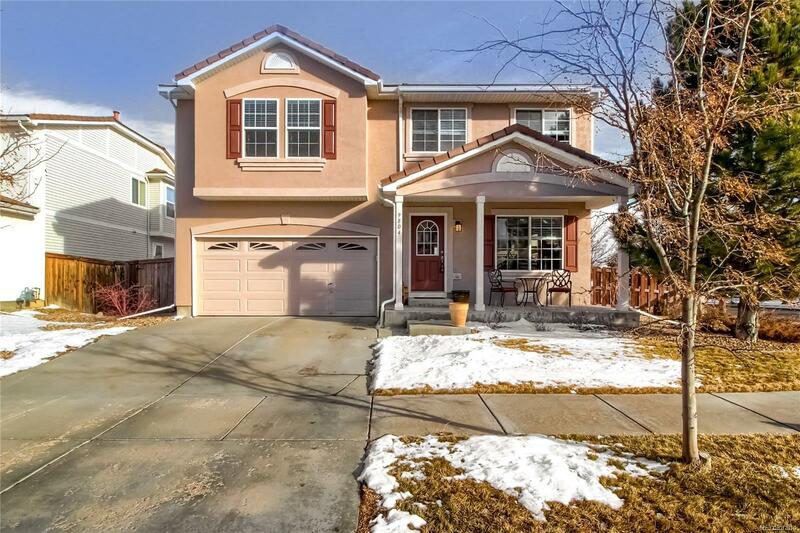 This inviting, bright & remodeled home is move-in ready. Tons of upgrades throughout! Oversized windows let in lots of natural light. Enjoy relaxing in the living room by the 3-sided gas fireplace. Dining room features a large bay window, new light fixture & is steps from the Brand New stunning kitchen (2017). Dark cherry cabinets, beautiful granite counter-tops, a deep double sink, Whirlpool stainless appliances & tons of storage, this space the heart of the home. 3 new bathrooms, including master 5-piece bath have new tile, paint, toilets, sinks & fixtures (2017). Master suite also includes a large walk-in closet. 3 additional spacious bedrooms upstairs. Bonus area at top of stairs; ideal for a home office or play area for the kids. New interior paint (2017) & exterior paint (2019). Unfinished basement is great for extra storage or can be finished off for a family room or additional bedroom. Extensive landscaping in private backyard oasis.